Successful education involves seeing each child as a unique and whole human being, concerned about how they think, feel and learn. 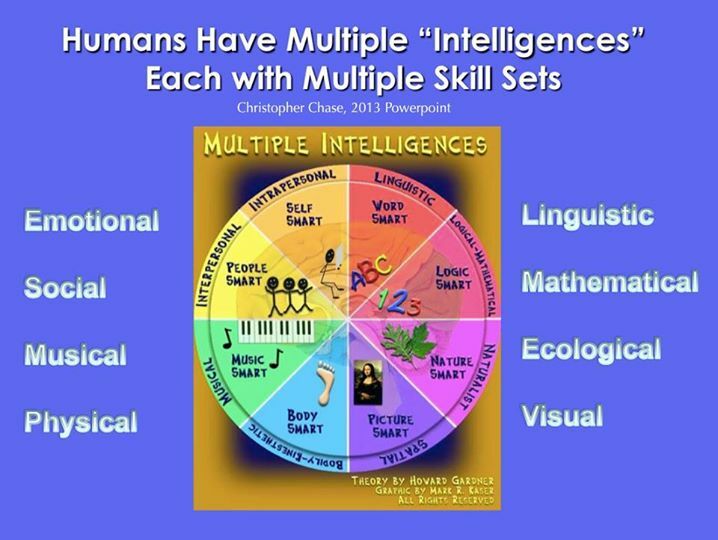 Howard Gardner’s Theory of Multiple Intelligences provides a useful way of looking at this. His model of human abilities is grounded in psychological research of the last century, viewing each person as having at least eight different domains of potential intelligences, each comprised of many different skill sets that can be mastered and developed over time. Unfortunately, current test-driven school reforms pay little attention to Gardner’s holistic view of human beings. They ignore the last 50 years of research in cognitive science, psychology and innovative learner-centered education, focused primarily on a very narrow range of “testable” mathematical, cognitive and linguistic skills in the upper right quadrant of Gardner’s model. “We have schools because we hope that some day when children have left schools that they will still be able to use what it is that they’ve learned. And there is now a massive amount of evidence from all realms of science that unless individuals take a very active role in what it is that they’re studying, unless they learn to ask questions, to do things hands on, to essentially re-create things in their own mind and transform them as is needed, the ideas just disappear. The student may have a good grade on the exam, we may think that he or she is learning, but a year or two later there’s nothing left. Clearly, to be successful and happy in life, human beings need to develop much more than just linguistic and mathematical skills. It may even be true that those we view as creative “geniuses” are individuals who have successfully meshed a variety of intelligences together, in unique ways. 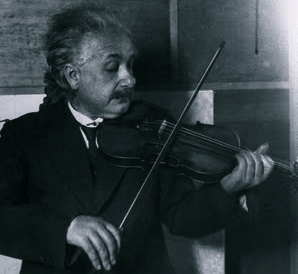 Einstein, for example, was not only a mathematical thinker, he also had great insight into human psychology (social and emotional intelligence), a powerful imagination (spatial, ecological intelligences) and was a highly skilled musician. “The idea of multiple intelligences comes out of psychology. It’s a theory that was developed to document the fact that human beings have very different kinds of intellectual strengths and that these strengths are very, very important in how kids learn and how people represent things in their minds, and then how people use them in order to show what it is that they’ve understood. We live now in a world with many difficult problems and far too few creative solutions. What the future requires is innovative educational approaches where young people are given the freedom and support they need to experience deep and varied multisensory learning. Only such enriched forms of education can help our children to become multi-skilled, able to collaborate and communicate well with others, comfortable with their bodies, skilled with the arts, understanding not only how to learn from printed texts and solve mathematical problems, but also how to apply that knowledge creatively, how to build things and learn from their life experiences. This entry was posted in Creative Systems Thinking and tagged Art, creative by nature, creative systems thinking, creativity, einstein, Growth Mindset, Howard Gardner, learner-centered education, new paradigm, psychology, systems thinking, theory of multiple intelligences, wisdom. Bookmark the permalink.